Raffle tickets are also on sale for $5.00 each or 5 for $20.00. In addition to purchasing these from a member of the Board of Directors, tickets can be purchased online from the museum’s webpage at netxcm.com/raffle tickets. This year’s raffle provides three choices. 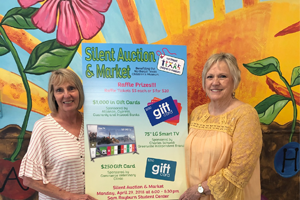 A prize of $1,000 in credit cards is sponsored by Alliance Bank, Cypress Bank, Guaranty Bank & Trust and Inwood National Bank; a 75″ LG Smart TV is sponsored by Charles Schwab of Greenville; and a $250 credit card is sponsored by Commerce Veterinary Clinic.